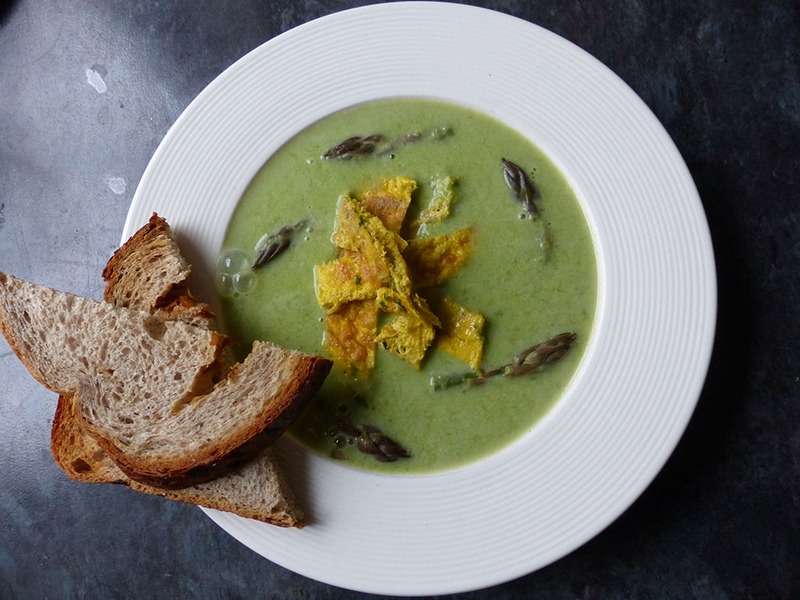 Green soups can be nice too! British grown asparagus are only available for a very short time, so make the most of it while you can! Clean and chop the asparagus, keeping the tops aside. Place the chopped asparagus together with the frozen peas in a pan with 1 litre of water and the stock cubes. Boil for about 5 minutes or until tender. To make the omelette mix together the eggs, 4 tbsp soya cream, chives and salt and pepper. Heat some olive oil in a frying pan and bake the omelette. Cut in strips. Puree the soup with the rest of the soya cream, add the asparagus tops and season to taste. Heat until piping hot. Serve and add the omelette strips on top. Great with a French stick!